Barcelona number one Player, Lionel Messi, has revealed that he will do well in the Premier League. Some Fans reportedly argued that it is because he would fail to shine in the Premier League as he does in Spain. 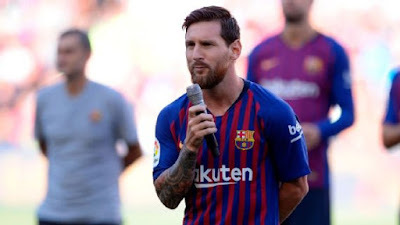 However, a respected Sky Sports journalist, Guillem Balague, who had a discussion with Messi over how he would fare in the Premier League, revealed that the Argentine boasted that he can play anywhere.